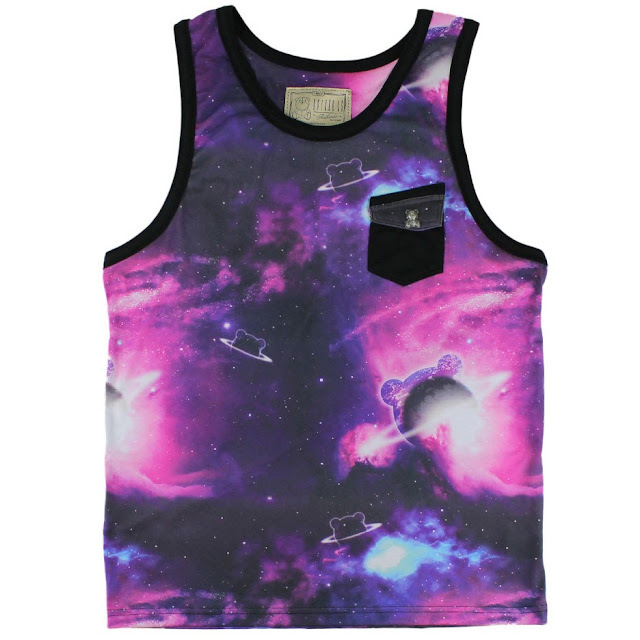 Entree LS is back with an ill all over print, galaxy-themed, breast-pocketed tank. Rock this with some solid shorts (navy blue, khakis, black....almost thinking with the right accessories Red might look cool). Throw on a black watch, maybe a bracelet and some nice sunglasses and you're set for some Star Gazing.